Dr. Emanuela Reale, social scientist, is senior researcher at CNR-IRCRES Research Institute on Sustainable Economic Growth IRCRES, National Research Council of Italy. Her main areas of interest are higher education policy, governance, R&D funding, research evaluation and impact assessment -with a special focus on SSH research, STI indicators. Emanuela has been principal investigator in several national and European projects dealing with higher education, research evaluation and research policy; she coordinates projects of the European Commission on transnational interdisciplinary research and government R&D funding. She was Vice President of the Italian Evaluation Association-AIV in 2009-2013, and Vice President of the European Forum for Studies on Policies for Research and Innovation-EU-SPRI (2009-2015). Currently, she is Member of the Board of the Consortium of Higher Education Researchers CHER. 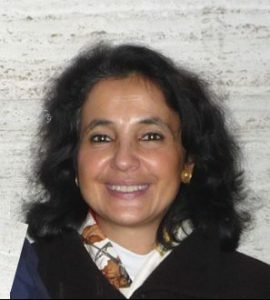 Emanuela publishes in several international journals and books including Research Policy, Science and Public Policy, Research Evaluation, Higher Education.